Relemac Technologies Pvt. Ltd. is a Domestic Cable Manufacturer providing such high-quality House Wiring Cables that consultants, architects and builders never worry about. We are one of the most recommended Electrical Building Wire Manufacturers and our House Wiring Cables and Electrical Building Wires are used by professionals who want the best both inside of India and throughout the world. We have been in the business of Domestic Cables for more than nineteen years, and have built our reputation through innovative design features and an unflagging dedication to use the best materials and the best manufacturing processes in the production of all cables. Our Domestic Cables and house wiring products are guaranteed and far exceed the ISI certifications. Our Electrical Building Cables are tested at every step of the manufacturing process by experienced engineers, and we are known throughout the construction industry for our quality control, modern manufacturing capabilities and design and manufacturing personnel. All of our copper conductors are made from high conductivity copper rods. These 8 mm diameter rods are made from 99.97% pure, electrolytic grade, bright annealed bare copper with an excess of 100% conductivity. This grade of copper guarantees a low energy loss due to line irregularities and inefficiencies which can result in lower electric usage. The rod is drawn to the required wire size for the wire that is being manufactured. Annealed plain copper conductors used in flexible cables and cords conform to the requirements of table 3 Class 5 of IS:8130 -1984. Custom sizes can also be made for specific customer needs, as well as custom colors for job specific requirements. Relemac Technologies House wires are mainly available readily in PVC insulations & also manufactured in various other insulations like, FR PVC / FRLS PVC / HR PVC / Zero Halogen & PTFE With HR PVC. The insulation of the wire is achieved by using a Type 'A' PVC compound suitable for a maximum continuous conductor operating temperature of 70º to conform to IS:694-1990. The wire is insulated by means of an extrusion process which generates the required insulation thickness for the job, and they all conform to the requirements set forth in IS:5831-1984. PVC forms the basis of all of the following forms of insulation, but different formulations have been designed to fit certain legal and customer requirements. If you have any questions about specific applications of any of these insulators or any of our other products please be sure to contact out customer service experts. Whenever a fire breaks-out in any building/Complex, the burning of wire emanates, the toxic, black smoke, which causes injury and subsequently becomes fatal to the human life. FRLS PVC insulation provides better fire retardant properties than normal PVC & also emits Low Smoke, in case of fire. Depending on where you live and how a structure is built, some wires may routinely be exposed to temperatures which would degrade wires made from the normal formulations of PVC. To counteract this, Relemac Technologies has formulated our Heat Resistant PVC insulation to specifically address situations where a heated resistant wire is needed. The HR PVC Insulation ensures stability at conductor temperatures of 85ºC and 105ºC and are designed to adhere to the standards set forth in HR85 and HR 105 PVC. For extreme uses, Relemac Technologies' Zero Halogen insulation holds the highest heat resistance, making it the best flame retardant insulation. This is critical for certain uses, including buildings which would routinely house large numbers of people or critical infrastructure. Zero Halogen insulation requires temperatures in excess of 300ºC to catch fire with a 1% Oxygen atmosphere. Zero Halogen is critical when you must maintain control of electrical components for as long as possible if a fire should break out. Because of the high ignition properties of this insulation, the onset of smoke and an extra flame source will help control the spread and devastation of the fire, at least to a small amount. PTFE with HR105 PVC is designed for high cost and sensitive installations where fire from electrical short circuits may cause damage to human life & property. 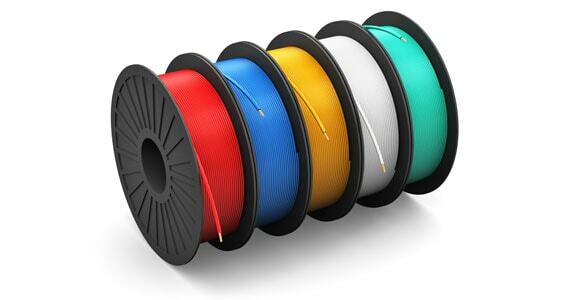 PTFE can withstand, operating temperature from -650C to +2600C. Nominal cross sectional area of Conductor Sq.mm Number/Nom. Dia. of wire mm Nominal Thickness of Insulation mm Overall Diameter (Approx.) mm Current carrying capacity #2 cables, single phase Max. resistance of Conductor per Km @ 20 C Ohms. In conduit/Trunking Amps. Unenclosed-clipped directly to a surface or on cable tray Amps. House Wiring Suppliers in 90 meters lengths in Polythene & Cloth Packing Standard Colours: Red, Yellow, Blue & Black Confirm to IS:694/1990. Supplied in 90 meters lengths in Polythene, Carton & Cloth Packing. Standard Colours : White, Red, Yellow, Blue, Black & Green.